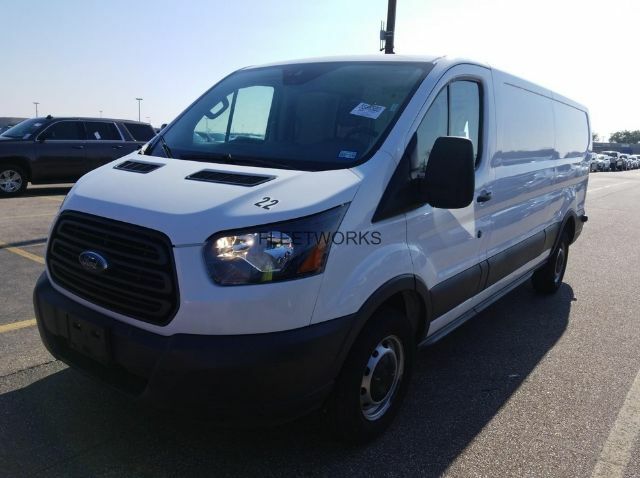 Fleetworks proudly offer used Ford Transit vans for sale in our Houston, Texas location at 4815 Katy Freeway. We carry several vehicles with low miles, clean CARFAX, maintenance record, accident-free, inspected and tested to provide you with the best buying experience. 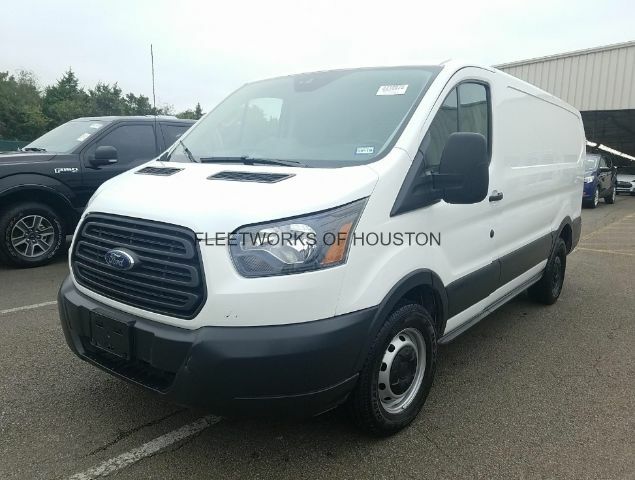 For more information about available used Ford Transit cargo vans for sale and financing call (713) 909-7261. Si habla Espanol. How many vehicles do you know produced from 1965 till nowadays under the same name? Impala, Mustang, maybe Ford GT but there are no cargo vans or commercial vehicles here, right? Ford Transit is the only commercial cargo van that exits factory lines since 1965 without a pause. Since then Ford produced 4 generations (and four facelifts) of this vehicle in factories in England, USA, Russia, Turkey, Vietnam, Australia, and China. Over the years Ford sold more than 8 millions of units in all continents. This van is one of the most selling and most popular commercial vehicles on the planet. It’s used by fleet companies, police, fire departments, tradespeople, even burglars, and thieves. It has been featured in movies like Fourth Protocol with Michael Caine and music videos of Robin Williams. Along with RAM ProMaster, Nissan NV, Chevy Express and GMC Savana, Transit is considered as the best cargo van. The first generation of Ford Transit was introduced in 1965 in the UK. The code name of the van was Transit Mark I (MK1). Ford replaced model Thames 400E with it. The second generation, codename VE6, started in 1986 and successfully transported goods and people around the Europe till 1999. The third generation came from manufacturing lines in 2000. This model was produced until 2013. The last, fourth generation, started its production in 2013, designed by Paul Campbell. It’s has been made in Turkey, and Russia for the European market. USA and Canadian market was supplied from Claycomo, Missouri. In the US Transit successfully replaced model Ford E-Series in 2015. Lines below closely describe Transit for the US market. 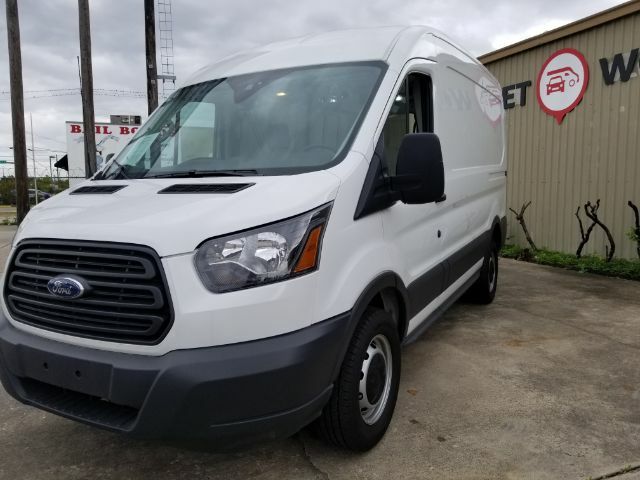 This vehicle hit the shores of America in 2015 and momentarily became a favorite fleet van for many small businesses and tradesmen in our country. Ford Transit is a full-size van. It is available in four body styles: cargo van, passenger van, chassis can and cutaway van. There are three trim levels, Base, XL, and XLT. Transit cargo van for US market (2015-present) is offered in several configurations; 2 wheelbases, 3 roof heights, 3 body lengths, and 3 engines. Combine all these options and you’ll get 65 variations of Transit. There must be one that fits your business needs and personal style. There are three engines available. Two gas and one diesel with a turbocharger. Smallest is 3.2L Power Stroke diesel, 5 cylinders. Small displacement thought doesn’t mean low payload capacity. This is a very potent, capable and economical engine capable of delivering 195HP and 350 lb.-ft. of torque at fantastic 1500 rpm. You definitely don’t need to rev it up to get the power from this engine. The motor is paired with a 6-speed automatic gearbox. Bigger 3.5L EcoBoost V6 has dual turbochargers and direct injection. This engine gives 310 HP and 400 lb.-ft. of torque at 2500 rpm. This is the same engine you get in Ford F-150 pickup truck. The third engine is 3.7L, V6. It doesn’t have a turbocharger but can deliver 275HP and 260 lb.-ft. of torque at 4000 rpm. Both petrol engines use the same 6-speed automatic gearbox. As soon as you get behind the steering wheel of Ford Transit, you’ll notice car-like or SUV dashboard and interior. It looks very modern, materials used have decent quality for commercial vehicle, gaps are small and overall build quality is at the highest level. The whole interior looks attractive and similar to other Ford vehicles, like Mondeo or small Fiesta. Everything is easy to reach and easy to read. Agronomic is also fantastic. The gear lever is at the fingertip. The driving position is more relaxed than in Ram ProMaster with the ability to adjust driver sear in eight positions. Mirrors are huge, and you can easily see what’s going on behind the van since it has a rear back-up camera (as standard). Talking about standard equipment, there are FM radio, front A/C, airbags, Bluetooth connection, lots of storage compartments (one is lockable), 6 cup holders, interior (and cargo space) lighting, 12V power point and extraordinary large sun visors that cover more than half a windshield. Like any commercial vehicle, Ford Transit cargo handles better fully loaded. Ford engineers did a great job with steering. Steering is responsive and handling corners is predictable no matter if you haul heavy loads or cargo area of the van is entirely empty. Body roll is well controlled with rear wheel drive. Extended units have dual wheels on a rear axle. Acceleration is excellent for this type of vehicle. With EcoBoost engine, Fort Transit can go 0 to 60 in just 7 seconds. Power delivery is smooth with standard 6-speed transmission regardless of the engine under the bonnet. The van is very quiet; there is no rattling or wind noise at freeway speed. Compared to its predecessor, Ford E Series, it’s much faster, comfortable, and handling is a lot lighter. Turning radius is significantly better compared to older cargo vans. Disk brakes with ABS on all wheels are responsible for efficient braking. Optional is a hill-assist system that helps a lot during a start in steep road sections. Van is equipped with other safety features like roll stability control, traction control, and trailer stability control. Because of all safety features, NHTSA gave four stars frontal-crash and five stars side-crash rating. Transit utilizes rear swing doors. They swing out to 180 degrees. To load larger items press the small switch and unlock doors and open them to even 270 degrees. Use the same switch to lock them into place. Another cool features are bumpers on the side that prevent doors from hitting the side of the van and damaging the exterior. Some units have side sliding doors with windows. Side doors have low step-in height for easy in and out, but not low as in Ram ProMaster. If you want the rubberized floor, you’ll need to pay extra since it doesn’t come as standard. Depending on the configuration, engine and additional equipment Transit can cost a lot, but it’s still cheaper than its main competitor Mercedes-Benz Sprinter. It is also cheaper to maintain then Sprinter. To save huge, buy used Ford Transit cargo van and save money to upfit your vehicle. For around $25,000 you can buy one-year-old 250 Medium Roof V6 unit with 10K miles or less. Compared to the price of a new van this is an excellent saving. Ford Transit, regardless of its configuration, can tackle any job. Be sure that all your commercial needs will be fulfilled especially with so much customization options from Ford or official upfitters. There is a tremendous number of van shelving, storage units and cargo space organizers you can install and organize your work van.